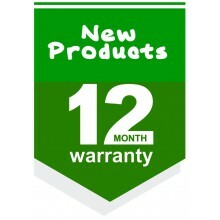 Brand new There are 5 products. Cone dispensers are self-adjusting, ensuring one-at-a-time dispensing. Available in polished stainless steel or gray-tinted plastic. Prevent breakage and protect from contamination. To be used for cones with a lip diameter from 35-86 mm. 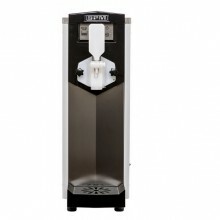 The System includes stand and 3 dispensers. Brand new, in original box, made in USA. No VAT included. Counter top soft serve ice cream machine model 'S.P.M K-Soft', pump version. Price without VAT. 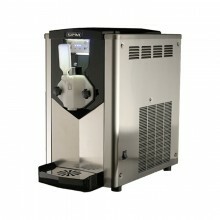 Counter top soft serve ice cream machine model 'S.P.M Karma', pump version. Price without VAT. 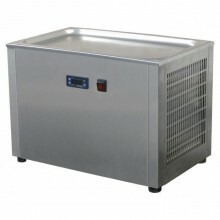 Teppanyaki Ice cream plate made of stainless steel, digital controlling panel, R404a refrigerant gas, working temperature 0 C/-28 C. No VAT included. 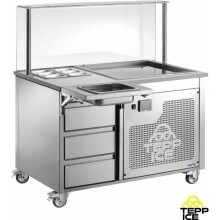 Teppanyaki Ice cream station made of stainless steel with 30 mm white sandstone work top, digital controlling panel with pre-programmed timer, 3 refrigerated drawers, 6 basins with lids on the top, container for spatulas, plexiglass shield, 4 x wheels with brakes, R507 refrigerant gas, working temperature 0 C/-38 C. No VAT included.